Details: 1 Bedroom, 2 Bathroom Home, with over 800 sq. 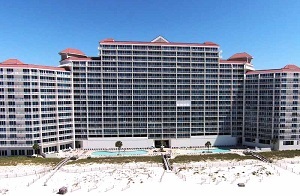 ft.
Lighthouse condo, beach resort home in Gulf Shore for sale. An incredibly beautiful residence with stunning views and wonderful decor. One bedroom unit that features an extra bunk room puts rental numbers over the top, making this condominium the perfect investment. The amazing views from this perfect height on the 11th floor are second to none. Beautifully decorated including granite counter-tops in the kithcen and tile flooring - don't miss this one.